I’m back! A two-year hiatus from my personal blog is a long time. I was focused on Dexter The Dog and all my dog-themed articles. But, it’s time for me to put my personal health back on the front burner. 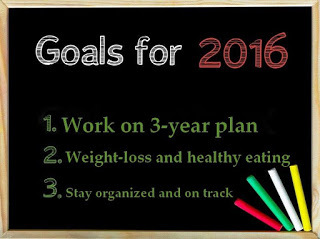 I hope by reinvigorating this blog, I will stay on track in 2016. 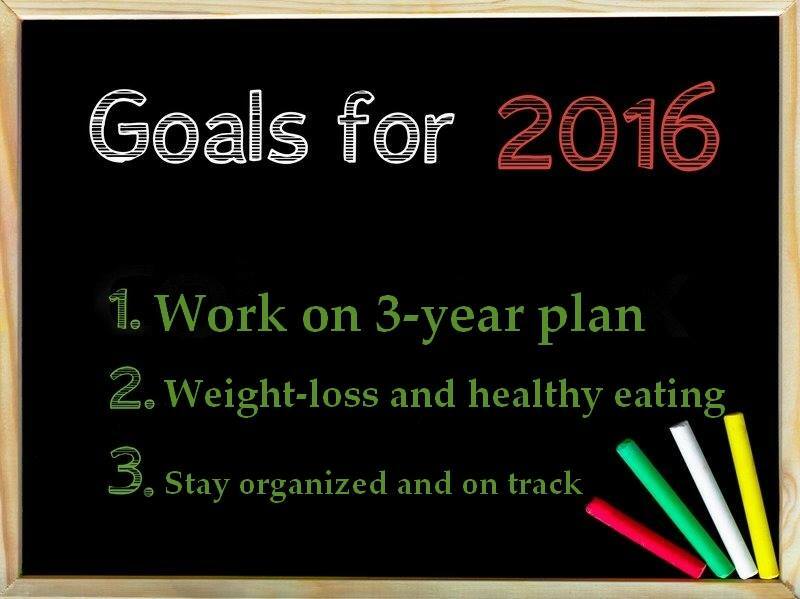 As you see above, I put my 2016 goals front and center. In January, I was on track and doing well. I was eating healthier (even cooking meals), I joined a gym and was working out every day, stayed organized, hit my weekly work goals… things were good. About four months in, things started to slide (after a vacation, of course). Now, July 12, 2016, I am ready to get back on track. Like I tell my dog training clients, we’re only human. You can’t change if you don’t try. So, here’s me trying. Stay tuned. Thanks for joining me on my journey to good health.